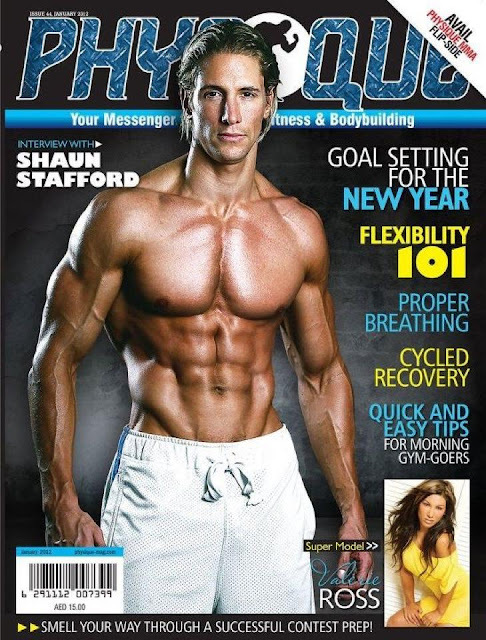 Shaun Stafford's inspiring story of his fitness transformation is incredible: he lost more than 22 lbs.to win the FAME UK Male Fitness Model competition. The 27 year old Personal Trainer from London carried more of a bulky, rugby-style build at the beginning of 2011, but when he decided to enter the FAME Fitness Model category, he set himself the goal of becoming the leanest he's ever been by getting down below 6% body fat. His new look, combined with the blonde hair, confidence and conditioning that made him look like a Greek God, easily wowed the judges and the audience, and Shaun walked away with the Male Fitness Model title. Shaun is also in the WBFF.